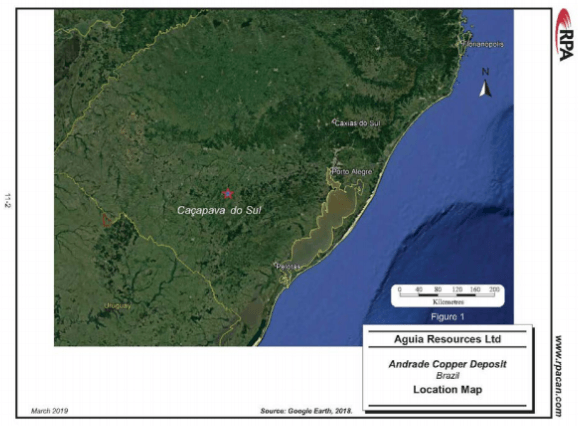 Brazilian mineral resource developer Aguia Resources Limited (ASX: AGR, TSXV: AGRL), traditionally associated with phosphate deposits, has reported an estimate for a maiden copper resource for their recently acquired Andrade copper deposit. Andrade is part of the Primavera Project in Rio Grande do Sul, Brazil. The Mineral Resource Statement is based on the results of 38 historical diamond drill holes drilled by Referencial Geologia Ltda. 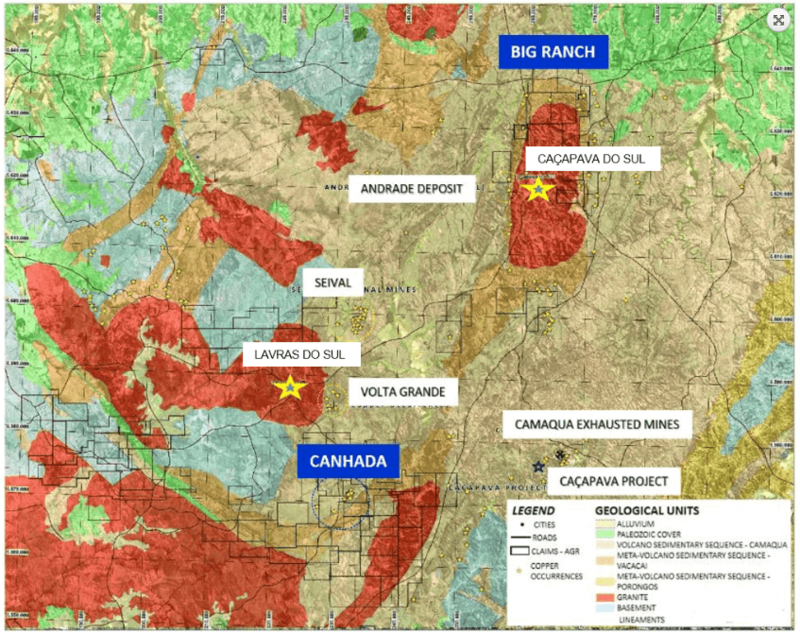 (Referencial) between 2009 and 2010 that were compiled and integrated into the database together with a drilling campaign carried out by Aguia in January and February 2019 as part of the due diligence the Company undertook before signing the option to acquire the Primavera Project from Referencial. 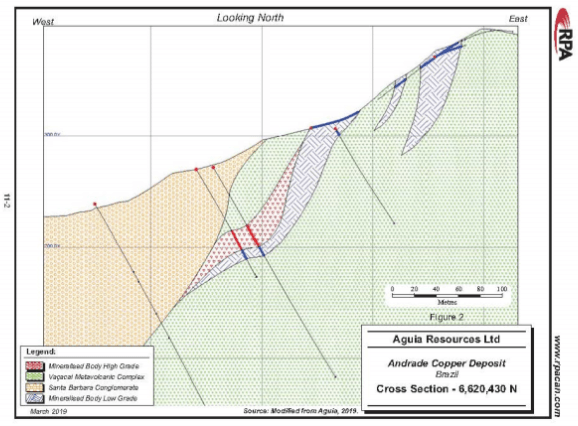 During this period, Aguia completed three drill holes (382 m). The primary goal of this drilling campaign was to confirm the presence of significant copper intersections that would suggest economic potential. The drilling campaign was successful as assay results from all three drill holes returned thick and high-grade zones of copper mineralisation, which has provided the data needed for a maiden resource that is JORC and CIM (as incorporated in NI 43-101) compliant. 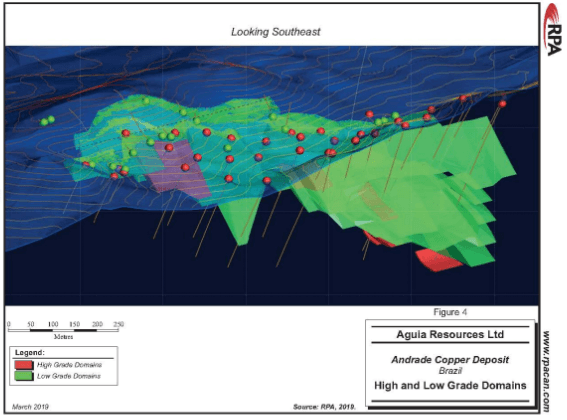 Aguia provided some detail on the promising find, stating that the new resource at Andrade was found in a single structural panel, and that the company has identified at least four panels over an 8 km strike which starts north of Andrade and ends 2 km to the south of Primavera. The company believes this will be the focus of their ongoing copper exploration efforts and their intention to expand their drilling program in the area. We’re looking forward to the first results coming in from their enhanced drilling program, and will publish an update when we have the data.